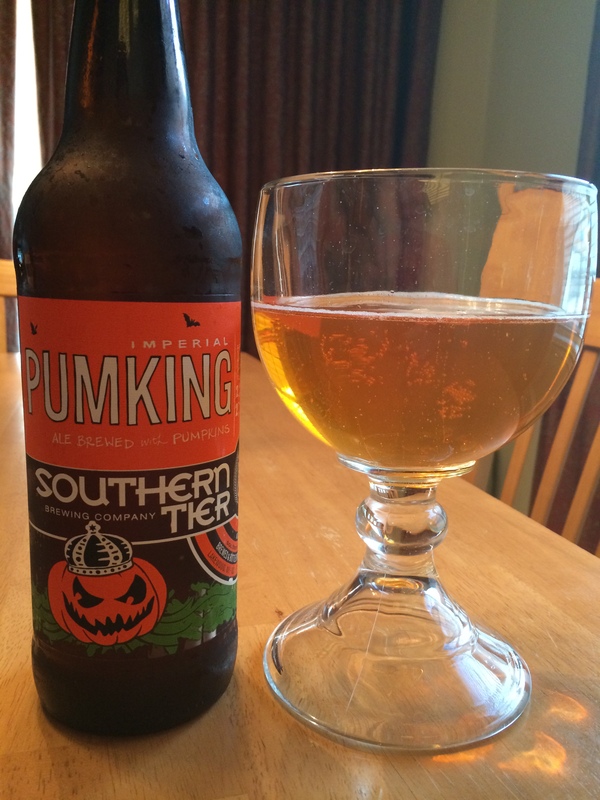 Quick Take: I think Southern Tier listened to some of the criticisms of Pumking and tweaked the recipe. The heart of this is still the Pumking fans (like me) know and love, but with the rough edges shorn off to make it a more casual friendly beer. The Pumking detractors aren’t going to change their tune nor will this win over those that want the pumpkin front and center, but someone on the fence may find this year’s version to be a pretty enjoyable fall treat (or summer patio/fire pit drinker). Changes from Last Year: Not only has the bottle label changed to regulate the King of Pum to a small bit of leafy green around the bottom, but the serving glass has changed from a beefy goblet to more of a water goblet and the serving temp has nudged up from 40°F to 42°F (Personally, I like it a bit warmer at 55°F). The vanilla has backed off and the spices seem less intense, but that may just be my palate. As these elements fade back, the earthy pumpkin is given more of a chance to come through, though it still isn’t a featured player. It also finishes with less bitterness, but more heat and malty bread. For those saddened by the loss of Southern Tier’s Mokah, it’s time to rejoice. It’s back, baby! The second part of Episode 3 of Drew’s Brews Reviews is here! The beer review show you never knew you wanted and no one needs. Ken and I continue our conversation about Southern Tier’s Pumking and Warlock by combining them in the same glass for a taste-splosion of pumpkin beer. As this is not a sanctioned beer from the brewer, i.e. it is not a quality controlled beer released by Southern Tier, we don’t review it per say. Instead, we provide our impressions and let you know if it’s worth trying out. If you want a better analysis of Pumking or Warlock, you should check out part 1 and get off my back.